They fit well, are a good length, stay up and are very comfortable. Mainly because he feels like they look great on him and he's right. 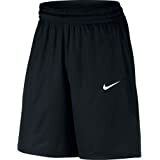 The Nike Layup Men's Basketball Shorts feature a longer length for coverage and a loose fit for excellent range of motion on the court. I love these shorts and have multiple colors of them. 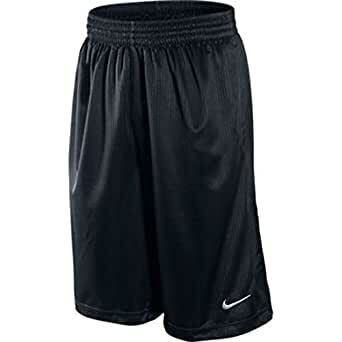 The black shorts I have of these I have owned around 7 years and worn like crazy and they still look like when I first bought them. These are a bit pricey but you will be able to wear them for years on end. 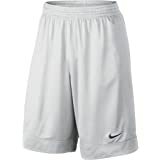 Worth the purchase and way better quality than the Nike Men's Layup 2 shorts. 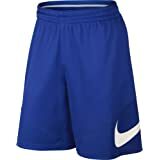 I prefer my shorts to go a little bit past my knees and I order the large size and am 6'1 and they fit perfect. One of my favorite pair of shorts. Good quality and feel great. Thicker and comfortable. Shipped me the wrong color. 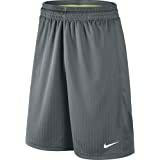 Best Basketball shorts I have purchased in a very long time. They fit well, are a good length, stay up and are very comfortable. They also come in several colors, many of which I already have! This was nice purchase, being a Nike Man.